Unai Emery believes restoring Arsenal’s confidence has been the key to his side’s revival as they look to make it seven successive wins when they face Watford on Saturday. 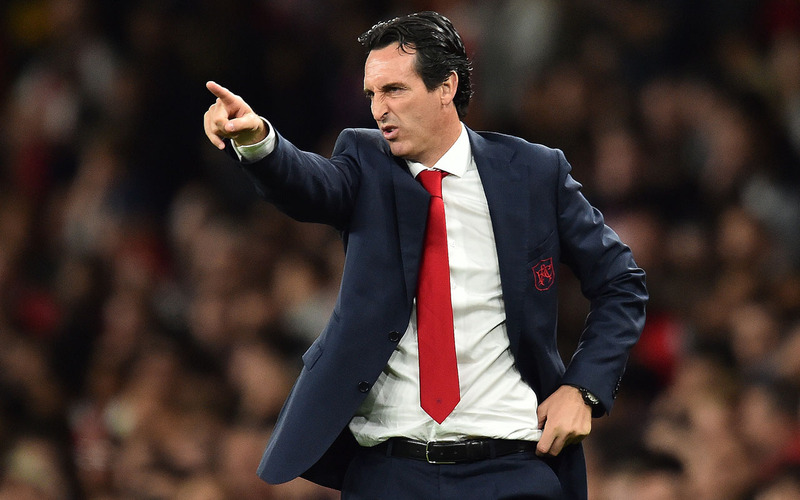 When Emery took charge at the Emirates Stadium in the close-season, the Arsenal manager found his squad’s morale was at a low ebb after the disastrous final years of the Arsene Wenger era. Arsenal had been reduced to a laughing stock as Wenger floundered before finally being persuaded to step down at the end of last season. Emery’s job was to restore his players’ belief, while convincing them to buy into his football philosophy of high-tempo pressing from all areas. Initially, it seemed the former Paris Saint Germain boss was struggling to get his message across as Arsenal were swept away by champions Manchester City on the opening weekend before squandering a two-goal comeback in a 3-2 defeat at Chelsea. When Marko Arnautovic fired West Ham ahead in Arsenal’s next match, the cynics among the Gunners fanbase were already beginning to fear their club had picked the wrong man to succeed Wenger. But Arsenal rode their luck to win that game, giving Emery his first Premier League success and going some way to restoring his players’ shattered confidence. Hard-fought away wins at Cardiff and Newcastle maintained the momentum and by the time Arsenal eased to a 3-1 victory over Brentford in the League Cup third round on Wednesday, the north London club’s winning streak had grown to six matches. While it is far too early to proclaim Emery has solved all of Arsenal’s problems — they still have a creaky defence with only one clean-sheet and the club are locked in a contract stalemate with Aaron Ramsey — the Spaniard has at least steadied the ship. “It’s very good work for continuing to improve and continuing also individually the players taking confidence into the next matches,” Emery said of the win against second-tier Brentford. Balancing his desire for an all-action pressing game with the need to accommodate more capricious talents like the gifted but underachieving Mesut Ozil remains a dilemma for Emery. But he has at least found a way to include both Pierre-Emerick Aubameyang and Alexandre Lacazette in his starting line-up. Gabon striker Aubameyang started the season, with French forward Lacazette on the bench, but Emery is now using Lacazette up front and Aubameyang on the left flank. Encouragingly for Emery, Danny Welbeck, who endured a poor run last season, showed signs of emerging as another attacking option with two goals against Brentford. “Danny Welbeck, he worked with two goals, helping us. And for Saturday, he’s also another player that I can try, to help the first eleven because he’s doing very well, with a big commitment,” Emery said. Nigerian forward Isaac Success scored one of Watford’s goals in that loss and he warned Arsenal his side will not be feeling sorry for themselves. “I think with the performance we brought out today, getting the victory would have been something precious for the team, but we keep our head up and get ready for the weekend’s game against Arsenal,” he said.